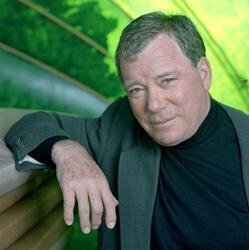 An exciting science fiction adventure from William Shatner—famous for his role as Captain Kirk on Star Trek—about the intrepid, eighty-year-old FBI deputy director Samuel Lord and his quest to stop the Chinese from using a weapon that (unknown to them) could destroy Earth. In the year 2050, the United States sends the FBI to govern its space station, the Empyrean. Under the command of former fighter pilot and FBI field agent Samuel Lord, the space-based “Zero-G” men are in charge of investigating terrorism, crime, corruption, and espionage beyond the Earth’s atmosphere and of keeping an eye on the rival Chinese and Russian stations. 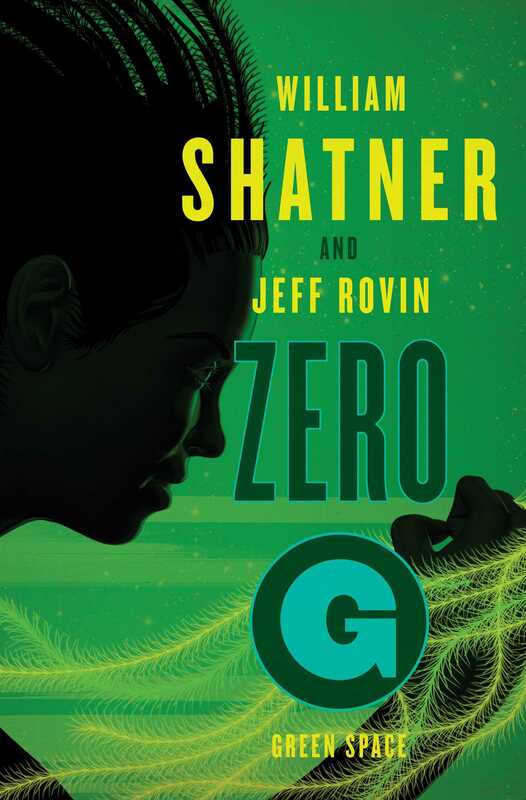 During the Zero-G team’s first days in space, a mysterious and beautiful scientist, Dr. May, shows up to the Empyrean claiming that important research has been stolen from her lab on the moon. Her arrival suspiciously coincides with timing of a tsunami that destroys part of the coast of Japan, and her unusual behavior makes Director Lord think that Dr. May might know more about the disaster than she’s letting on. Meanwhile, the Chinese space station has gone mysteriously silent. In this “tightly paced blend of police procedural, military SF, and space opera, set in an intriguing near-future world” (Publishers Weekly), Director Lord must connect the dots to discover who or what has caused the tsunami as well as subsequent disasters, and how Dr. May and the Chinese might be involved. Retired General Curtis James Stanton, civilian commander of the space station Empyrean, lay on his smartfoam cot and peered into the darkness of his relatively spacious cabin. His IC was set to emergency alert only, yet in this rare moment of quiet his mind was anything but at rest. Eyes open, his memory vivid, Stanton’s brain whipped him with pain he could only allow himself here, in private. He dared not display weakness or distraction while he was on duty in the Drum, and there was no one he could talk to, no one who would understand. There was doubt enough about tactics that his military brain attached to the failed mission. But there was, as always, the chaser: the human component. The first one got a quick, fixed reaction from the brain. It ran down a checklist, compared the results to the protocols. That move was right . . . that one wrong . . . right . . . wrong . . . right . . . chancy . . . . Commander Stanton’s shoulders moved and the mattress adjusted to hug in him place. He bunched his fists against his forehead but he didn’t bother to shut his eyes. Open or closed, it was equally dark in his cabin. And either way, there was his security team once again making their preparations, once more sledding into the void. Einstein said that time and space were illusory, that they changed with one’s perspective. Commander Stanton had latched onto that idea during his six months of training for this assignment, but even Einstein didn’t prepare him for how elusive a quality time really was in space. Without day or night to mark its passage, sleep was actually the only real measure—and the lack of it did change one’s subjectivity. For the past week, Commander Stanton hadn’t had much rest. Everything that had happened—the loss, the failure, the personal shame, the way others avoided eye contact—was immediate and ongoing. It did no good to remind himself or NASA that what he had ordered was a standard by-the-book deployment. Fourteen single-occupant vehicles, all piloted by veterans, but only two returned. And one of those survivors was not even a member of his team. It was Sam Lord’s man McClure. That was the other thought that plagued Stanton. Samuel Lord was the head of the FBI’s six-person Zero-G unit based on the Empyrean. His man had not only survived, it was Lord—just two weeks up from Earth—who had succeeded in personally shutting down the lethal Chinese device with a maneuver that was anything but by-the-book. And unlike Stanton, after the battle, the octogenarian former flyboy was the same tutelary saint he had been before. Only now with more halo, the fifty-three year-old thought bitterly as he tried in vain to sleep. Nor was Lord’s cool triumph merely the fact that he stopped the Dragon’s Eye. Compounding Stanton’s sense of failure, Lord had also fulfilled the role he had been sent to space to accomplish. He had found the traitors who helped the Chinese build the weapon. That had given momentum to Lord’s reputation as a go-getter who just wouldn’t quit. Meanwhile, Stanton’s career up here, just nine weeks old, was the subject of doubt and subtle derision in the newtiae. These news minutia summaries collected, cross-referenced, and analyzed every public mention of a name or situation to provide an N-rating. In the immediate aftermath of the loss, Stanton’s superiors at NASA had backed the retired army general publicly. After all, they were the ones who had written the white paper he followed. Then they went silent for six days as the newtiae numbers eroded like the orbit of the United Arab Emirates’ ill-fated DubHigh Hotel a year before. The commander was no longer in free fall and that was only because there wasn’t much distance left to fall. He didn’t expect to be replaced anytime soon, since there was no one on deck: at least there was time to try to rebuild his reputation. Yet that plagued him too because he didn’t know how. He had been sent here because he wasn’t a Sam Lord. He did things in a conservative, traditional manner. “It was a team effort,” Lord had said. “But you were the leader of the team,” Tsuburaya had responded. Stanton dug the heels of his palms into his exhausted eyes. He found himself envying Blake Tengan, the forty-eight-year-old commander of NASA’s Armstrong Base on the moon. She had a PhD in astrophysics to go with her credentials as a decorated military veteran. Not only did she make all the right calls up there during the Dragon’s Eye crisis, but she had breadth that he lacked. Inferiority on top of failure was a deadly, paralyzing combination. The hell of it was, he had lost personnel before. There had been thousands of deaths among his elite troops during the War on Narcotics and the Pan-Persia Occupation. But those situations had been volatile. They had been classic terrestrial problems fought with traditional weapons—if a neutron bomb that killed people without destroying property could be considered traditional. This was outer space, the final frontier, God’s backyard. His command on the Empyrean was only supposed to be about organizing science and engineering projects with selective political surveillance on the side, electronic intelligence gathering paid for by agencies like the CIA and run by two specialists in the Drum. The threats beyond Earth’s atmosphere were supposed to be radiation, micrometeoroids, structural fatigue, centripetal gravity distortion. Stanton angrily punched the air and, with a pop of the foam, the motion carried him several inches off the mattress toward the wall on his right. He met it with open palms and pushed himself back. The residences in Radial Arm Five had from one-quarter to three-quarters gravity; the artificial pull was strongest toward the outer reaches of the structure. “That’s where stuff gets flung by centripetal force,” was how team physicist Dr. August Bird had dumbed it down for Stanton during his orientation briefing. Bird was also the man who had explained Einstein to him. In order for him to be close to the centrally located Drum, Stanton had to take one of the lesser-gravity cabins. Until this moment, it hadn’t been a challenge. He had mastered everything from showering to shoving a foot in his boot without becoming a human cannonball. At least Isaac Newton and his third law aren’t against you, Stanton thought as he settled back. The wall had simultaneously exerted a force equal in magnitude and opposite in direction from his fist. Otherwise, thanks to Newton’s first law, he would have gone sailing away, a body in motion continuing to be in motion. Science, bless it, was reliable. The “urgent” IC ping from Lancaster Liba was both welcome and not. It allowed Stanton to stop thinking about past disasters and turn his attention to whatever this new emergency might be. “Go,” Stanton said, engaging Liba’s icon with a wink. “My next call, commander,” Liba said. Stanton winked on the “out” icon, an exit sign. Even though the biophysicist was a consultant on the Merlin project, he was FBI and not on the Empyrean’s emergency alert list. Notifying the Bureau’s resident medical officer would also cause Sam Lord to get a heads-up. That was fine with Stanton. This was not Lord’s jurisdiction. If he showed up, he would have to wait outside the greenhouse, just like anyone else who rented space on the Empyrean. Like most of the crew, Stanton slept in his U-wear, underclothes made of antibacterial and odor-eliminating, antistatic and flame-retardant cotton and polyester. It did not have to be cleaned for at least two months despite constant wear, thus conserving resources. The commander hurriedly jumped into his trousers and pulled on his shirt, but not the rest of the uniform. He did not want any crew members to think that he was on duty and bring him small problems. Not when there was trouble in the Vault. The low gravity of the radial arm allowed him to cross the room in a single, long-legged stride. After two additional steps he was out of the radial arm and into the main corridor of the residential wing. Three short elevator rides took him to the start of the green line that brought him to the Agro Center, which was located at the bottom of the Empyrean’s nearly five-hundred-foot-long central column, two levels below the Drum. In addition to growing an increasing percentage of the food consumed on the Empyrean, this was where water vapor and waste liquids were recycled. The descent was slightly disorienting, not only because of the near zero gravity along the hub of the station—which required the use of handrails and artful stepping—but because the elevators generated their own slight but disorienting motion-induced gravity as they traveled. A passenger had simulated weight, then didn’t, then did; that was the reality of movement throughout the Empyrean. It was also the reason the U-wear was waste-absorbent, since the body did not always react sympathetically to the more dramatic shifts elsewhere in the station. The trip took nearly two minutes, during which Stanton tried to imagine what could be wrong with the project. Merlin was a prototype for one of the greatest undertakings in human history. If it had simply stopped growing, Liba would not have alerted the commander. He and Carter would have had to go back to the original design and find the problem. There was a sudden sizzle in Stanton’s audio feed. “Liba, what was that?” Stanton asked. Stanton reached the primary greenhouse; the door read his IC ID and popped open. The wave of humid heat washed over the commander as he shouldered his way in, the glass panel shutting behind him. He wiped his eyes with his fingertips as he looked around. “Liba!” he shouted. Stanton’s voice had a muted quality in the thick air, as though he were shouting into a quilt. The moisture-prismed sunlight was bright, almost blinding, and he walked tentatively through the mist-shrouded leaves toward the Vault. Halfway there, he shouted again. Stanton did not hear Liba but he heard the sizzle again, much louder than the last time. Before making his way any farther he paused to send a message to his immediate subordinate, Mark Winters, leaving him in command until further notice. Then Stanton shut his IC entirely. It was strange to have no icons in his field of vision, not even the handful of emergency images, but if that sound had an electrical origin, then interaction with his IC could have been what took Liba down. Stanton saw the deformed branch jutting through the top of the Vault before he saw Liba sprawled on his back among the cantaloupes below it. He took a moment to study the situation, watching as the limb expanded again, trembling faster than the eye could see and crackling audibly as it pushed through the sensor-impenetrable Faraday wall of the Vault. The branch stood some four feet above Liba’s head. It was just two feet from the top of a dwarf coconut tree Liba had bred and five feet from the wall of the greenhouse. Not a lot of room for continued expansion, he thought with rising horror. The branch wasn’t just replicating rapidly, it looked nothing like the slender structure that presumably still supported it inside the Vault. Stanton absorbed all that in moments. He began moving toward Liba, sweeping his way with both arms through the tightly clustered vegetation. Arriving at the Agro officer’s side, he bundled the lightweight man in his arms and hurried back to the door of the greenhouse. He was hoping the cooler air would revive him. Dr. Carter was hurrying forward as they emerged. “What happened?” the forty-six-year-old physician asked, immediately using his IC to scan Liba’s vital signs. “Merlin has sprouted some kind of deformity that’s pushed through the Vault and is apparently causing electrical interference,” Stanton answered as he lay Liba on the rubberized white flooring outside the greenhouse . “A deformity?” Carter asked, bending over the agriculturalist. He began gently feeling for broken bones, looking for thermal blips indicating breaks in the skin, bleeding. “The growth itself was diffuse?” Carter asked, using his IC to scan Liba. “That’s a rending caused by the Vault wall being breached, most likely,” the medic said. “I figured, but how is that possible?” Stanton asked. “I have no idea,” Carter replied. “Not what I was hoping for from the lead scientist on this project,” Stanton said angrily. As the doctor spoke, his narrow face was composed, his pale eyes moving in sync with the thermal, systolic, diastolic, and other medical data. Though Liba was unconscious, that did not stop his IC from transmitting. Suddenly, Liba did stir, opened his eyes. He didn’t seem startled, didn’t recoil—suggesting that the last thing he saw was not an assault. This was an accident. “I—ow,” Liba said, reaching for his forehead. He winced when he moved his arm, pain snapping through his shoulder. He stopped moving and Carter helped him ease back down. “Lancaster, do you know where you are?” Carter asked. It took a moment for the man to answer. “I do, and also where I’ve been,” Liba replied. “There would be a log of that,” Carter said. “?‘Trying’ is not very reassuring,” Stanton said. “That’s all I can give you right now,” Carter said. “Mr. Liba, do you have any digital tingling, fascillation?” the medic asked. “Are there any unusual sensations, movement in your fingertips?” Carter asked. “There’s only good humus under my nails,” Liba replied, winking his IC on. “Maybe I got stunned smart,” Liba said. “That didn’t happen,” his parental IC informed him. “You’re welcome,” Stanton replied, still annoyed that security protocols had been ignored. Certain that secret information would no longer be discussed, the commander turned his IC back on and, after summoning the Empyrean EMTs, accessed the various surveillance positions inside the greenhouse. The branch seemed to just hang in the air, thrusting forward. Just then, there was another static sound from inside the greenhouse that caused Liba to wince. Stanton rose and Carter’s eyes shot toward the top of the greenhouse. The noise was followed by a loud cracking sound that was not electronic. “What the hell is that thing doing?” Carter wondered aloud, glancing up as he finished his examination. “We’re in trouble if you’re asking that,” Stanton said. Carter looked down at the man. The way he was looking at him made Liba feel very uneasy. It was almost like the doctor was a human MRI, scanning him from top to bottom. “As soon as the team gets here, you can go,” Carter said. “What were you just looking for?” Liba asked. Carter didn’t answer. He raised his eyes and looked ahead. “Commander, I’m going into the Vault,” Carter said. “It’s the former,” Carter said. “What about me?” a smooth-as-cream voice asked. As one, three sets of eyes shifted to a figure standing with his arms straight at his side, his legs slightly athwart, his sparkling gray eyes peering at them from under a swath of steel-wool hair. He was standing on the other end of the green line that helped visitors find their way to the Agro Center. The man was dressed in a collarless blue suit over a dark red tunic and retained the healthy suntan that had been burned into his flesh from decades spent walking across tarmacs around the globe. Associate Deputy Director of Earth Operations Samuel Lord smiled as he came forward with a big, easy stride.